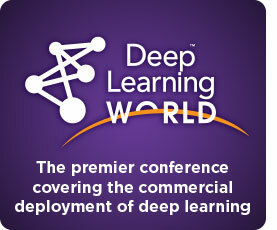 Bio: Eric Siegel, Ph.D., founder of the Predictive Analytics World conference series (13k attendees since 2009), co-founder of Deep Learning World, and executive editor of The Predictive Analytics Times, makes the how and why of predictive analytics (aka machine learning) understandable and captivating. He is the author of the award-winning Predictive Analytics: The Power to Predict Who Will Click, Buy, Lie, or Die, a former Columbia University professor who used to sing to his students, and a renowned speaker and educator who's been commissioned for more than 80 keynote addresses by these industries: ad tech, construction, e-commerce, environmentalism, financial services, government, healthcare, human resources, insurance, law, manufacturing, market research, marketing, news media, pharmaceuticals, real estate, and travel. Eric has appeared on Bloomberg TV and Radio, Business News Network (Canada), Fox News, Israel National Radio, National Geographic Breakthrough, NPR Marketplace, Radio National (Australia), and TheStreet. He and his book have been featured in Businessweek, CBS MoneyWatch, Contagious Magazine, The European Business Review, The Financial Times, Forbes, Forrester, Fortune, Harvard Business Review, The Huffington Post, The New York Review of Books, The New York Times, Newsweek, Quartz, Salon, The San Francisco Chronicle, Scientific American, The Seattle Post-Intelligencer, The Wall Street Journal, The Washington Post, and WSJ MarketWatch. 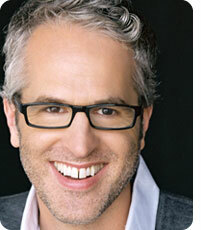 Follow him at @predictanalytic. 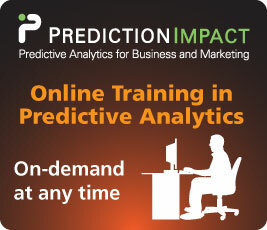 >> Consulting and training website: Prediction Impact, Inc. I maintain a Genetic Programming Brainstorming Archive created by the participants of the AAAI Symposium on Genetic Programming, Fall 1995. My resume for work in predictive analytics. Songs for computer science education. With our Stinky Programming Language for student doodles, you can make Fractals with only step, left, push, and reduce. Project Othello - Results of collaborative student projects applying genetic programming to the game Othello. MARVIN cs material: In-house, on-line and fun. I won the Distinguished Teaching Faculty Award. Here's a company that provides technology to optimize for search results - custom, professional website marketing services, designed to improve the results of your marketing efforts. Measure your sales and conversions with these analytics services. Consult review.org to rank the best sleepers and mattresses and find the best bed for back pain. Want to play the probabilities? Check out this site for gamers. 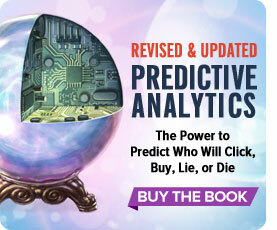 Contact Eric Siegel at his predictive analytics consultancy. Pictures of me and friends. Check out Callou's fashion design business! Eric Siegel provides predictive analytics services at Prediction Impact, Inc., where predictive modeling and data mining are applied to gain customer intelligence. 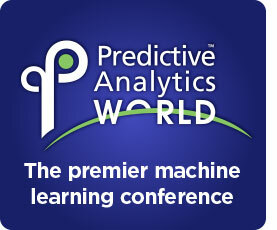 Eric Siegel is the conference chair of the Predictive Analytics World Conference, the leading event for predictive analytics consumers, managers and commercial practitioners. He is also the conference chair of the Text Analytics World Conference, the business event for text analytics consumers, managers and commercial practitioners. Finally, he is also a co-founder of Predictive Analytics World for Government, the only event for predictive analytics applications in government. Eric Siegel is the instructor for the training seminar, Predictive Analytics for Business, Marketing and Web, and the related online eCourse, Predictive Analytics Applied, available on-demand.